I know what probably came to mind—coppery, somewhat dingy and Abraham Lincoln’s profile. And it wouldn’t surprise me one bit if the 40-some percent of readers that come from elsewhere in the globe, imagined the same thing. The American penny is ubiquitous. But what of the back? How many of us imagined that side? Probably a smaller number. And of those that imagined both sides of the penny at the same time? Minuscule, I bet. Yeah, yeah, the “History is like a coin because it has two-sides” phrase was minted long ago. But that doesn’t mean it’s no less true. Alright, pause for a moment and have a look at the MiG above. One more time...I need to digress again. 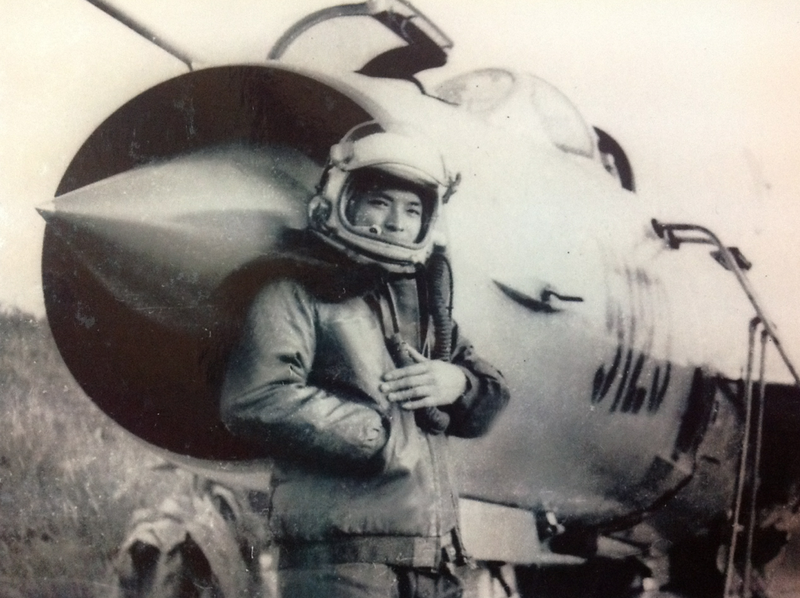 So, Dan, upon learning of my trip to Viet Nam, suggested that I meet Hong My and helped get us introduced. It was a supremely cool experience save for the vast language barrier. Hong My knew about five times more English than I knew Vietnamese (I know how to say 'Hello,' 'Shrimp' and 'Beer'). In other words, the conversation quickly degenerated into my ridiculous attempts at pantomime and Hong My’s gracious patience. I felt utterly foolish and feared that I was wasting Dan’s endorsement and Hong My’s time. But toward the end of our “conversation,” I asked the question, somewhat absentmindedly, “You? Shoot down? Any of…us?” I pointed at my heart. Boom. I understood. And with the kind of clarity that transcends all language, all emotion, all logic. I was sitting next to a real, bona fide, in-the-flesh, enemy. Granted, an ex-enemy, but the first one at that I ever met who had not only fired at America in anger but had been victorious at it, too. Ah yes. The other side of the penny. 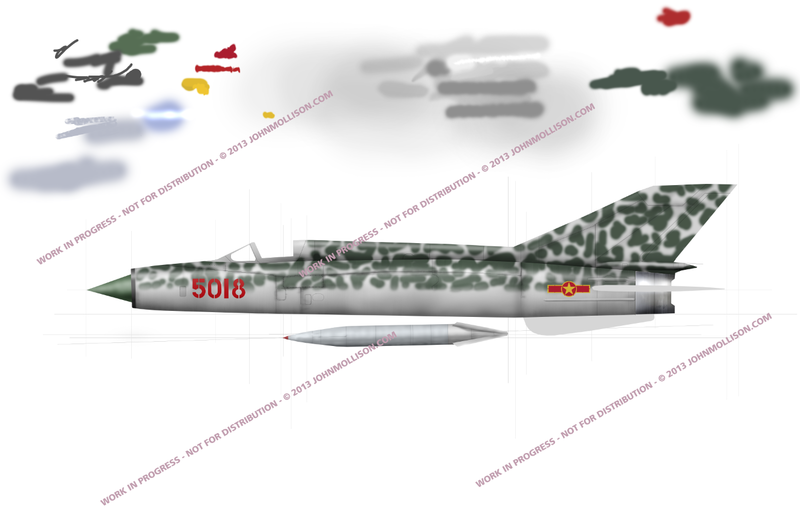 Have another look at the MiG. We’ll see how far we can push this “My Enemy, My Friend” stuff in the next post. 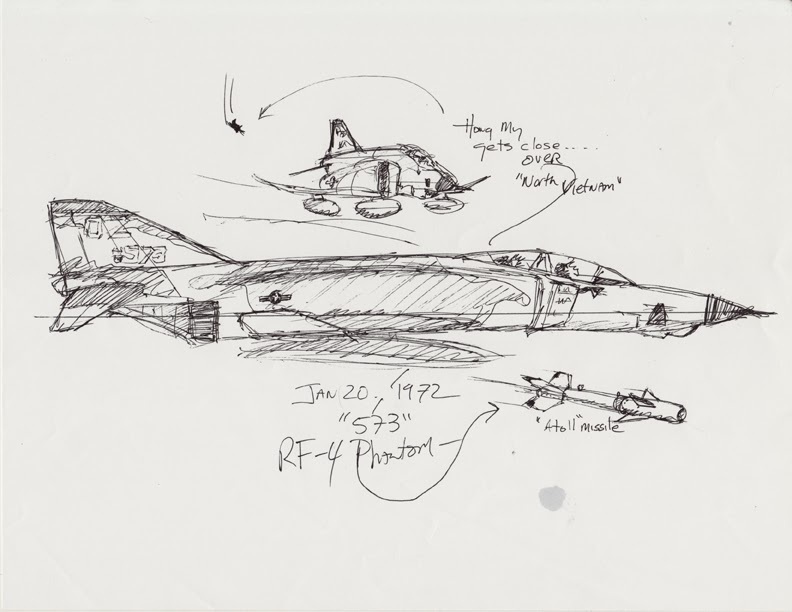 And, I’d like to introduce you to John Stiles' RF-4, the airplane that wound up in Hong My's missile-lock.